Six Flags Great America is back this season and bigger than before. The park is scheduled to open for the season Saturday, with gates opening at 10:30 a.m. This season will see the premiere of the world’s largest roller coaster—the Mardi Gras Hangover. Tickets cost between $54.99 to $74.99 (children 2 and under are free), and parking will cost $26. 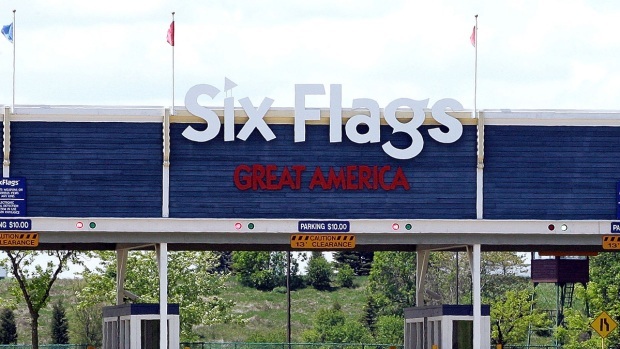 Six Flags Great America Enhances Security Measures, Spokesman Says Six Flags Great America has upgraded its security for the upcoming season, according to a park spokesman. The park will offer through April 22, a special $77.99 sale on season passes, with the purchase of a four-pack. It includes free parking. The Chicago Tribune reports that for every super hero cape purchased for $15 at the gate that weekend, Great America will donate a cape to Special Olympics Illinois and Wisconsin. In addition, a super hero glow run to benefit Rotary Club of Gurnee will be held at 6 p.m. April 20, with $40-$50 for admission and access to some of the park’s rides. The 20-acre Six Flags Hurricane Harbor water park will also open at 11 a.m. on Memorial Day Weekend. Only those without a season pass will be charged an extra $10 fee to the park.